*** The Next War 35 15 What the military doesn’t know it doesn’t know about future threats. How does the military prepare for future unknown threats? Everyone knows the foreign threats our government deems urgent: cyberwar, a criminal North Korean regime, an aggressive Russia leader. (OK, not everyone in our government ... ) But how does the military prepare for the threats which will eventually arise, but are not yet known? Peter W. Singer is a strategist and senior fellow at New America, and an expert on military technology and planning. And he spends his time studying what threats America is likely to face, and how the armed forces should prepare for them. I recently spoke by phone with Singer, whose latest book (co-written with August Cole) is Ghost Fleet: A Novel of the Next World War. During the course of our conversation, which has been edited and condensed for clarity, we discussed the ethical considerations involved in pursuing new military technologies, the ways in which the military tries to stay ahead of the game, and why the Trump administration’s unwillingness to take global warming seriously is so dangerous. Isaac Chotiner: What is the process by which the military thinks about future threats and prepares for them? Peter W. Singer: Like it or not, everyone is a futurist in some way, shape, or form. For the military, that means wrestling with everything from how it envisions the future threat to the environment, to how it budgets for what weapons to buy, to how it trains individual soldiers as they go into basic training. When you’re thinking about this space of “wrestling with the future,” it really encompasses almost everything that the military does in a certain way. Even military history programs are about going back and looking at the past, not for its own sake, but for lessons to mine for the future. Since the 1990s, the Chinese People’s Liberation Army (PLA) has focused on the development of asymmetric capabilities that target U.S. vulnerabilities. At present, the PLA’s approach is starting to evolve toward a strategy centered upon technological and defense innovation. The PLA is pursuing innovations in “strategic frontier” (战略前沿) technologies with disruptive military applications, including directed energy, hypersonic weapons, artificial intelligence, and quantum technologies. The PLA intends to achieve “leapfrog development” (跨越发展), seeking to surpass the U.S. military within critical technological domains in which the U.S. does not possess, and may not be able to achieve, a decisive advantage. The PLA came late to the information technology revolution in military affairs and has since struggled to develop the capabilities necessary for modern, “informatized” (信息化) warfare. During the first Gulf War, the PLA initially recognized the full extent of its own backwardness relative to the U.S. military, which then revealed transformative U.S. advances in network-centric warfare. Consequently, the PLA embarked upon an ambitious agenda of “informatization,” seeking to enhance its capacity to utilize information in warfare and advance its command, control, communications, computers, intelligence, surveillance and reconnaissance (C4ISR) systems. The peaceful dénouement of this latest dust-up over unresolved Himalayan boundaries between India and China – this time involving Bhutan – appears to have been artfully managed by New Delhi. After 72 days, tensions were diffused as both sides agreed to stand-back from the point of the border dispute. India withdrew its troops and China withdrew its military heavy road construction crew. 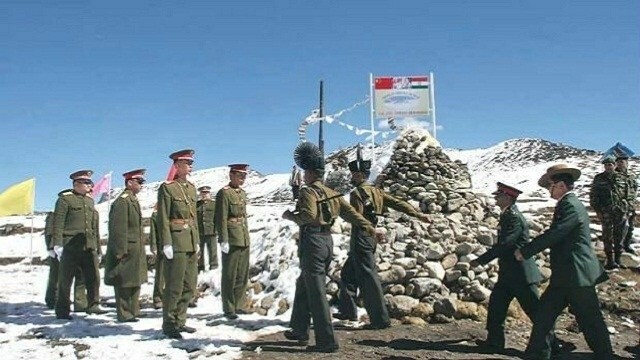 The Chinese official version of the settlement omitted mention of its road crew withdrawal while highlighting the Indian troop stand-back. India chose not to challenge the Chinese claim, keeping the terms of the disengagement under wraps. 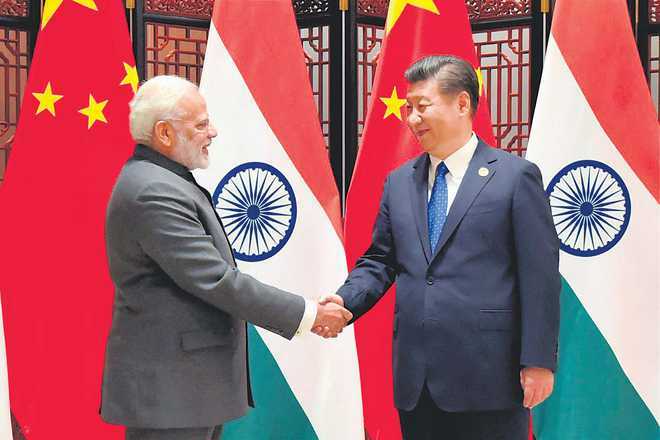 This was a prudent move, for it allowed China’s President Xi Jinping to host the September BRICS Summit free from an ongoing and awkward dispute between host and a guest; and, it allows Xi to enter the upcoming Chinese Communist Party Congress with a claim that he resolved the Doklam dispute without making concessions. Contrary to China's hope that perhaps India would back off, as the standoff built up, India refused to blink. The global reaction too tended to lean towards India or was neutral. WHILE the Doklam crisis has ended, speculation and guesswork continue to masquerade the causes that triggered the crisis. Perceptions and misperceptions overshadow the actual sequence of developments on the ground but there is little doubt that the Chinese leadership wanted to build a road in the disputed area. However, it did eat humble pie, much against its expectations. When the crisis was on, some newspaper articles in India postulated it as another example of (insecure) Chinese nationalism. However, the crisis was neither caused nor precipitated by Chinese nationalism. India actually does not figure high in the Chinese calculus of nationalism. The aggressive posturing by the Global Times (a newspaper perceived to enjoy state support in China) at best represents the microscopic viewpoint. Chinese nationalism is still preoccupied with Japan, the US and Taiwan (to some extent). Throughout the crisis period, there were no mass protests against India as has been the case against Japan and the US in the past, often under state patronage. As India joins the rest of the world in celebrating the 51st International Literacy Day today, I would like to emphasise the important role of literacy in the development architecture of all countries and its crucial role as a development accelerator. It is a day when we recollect our freedom struggle and the words of Mahatma Gandhi who called mass illiteracy a sin and a shame that must be eradicated. It is a day when we reflect on our progress over the last 70 years and evaluate our progress in achieving the goals put forth eloquently by Jawaharlal Nehru on the midnight of August 15, 1947: “To bring freedom and opportunity to the common man, to create social, economic and political institutions which will ensure justice and fullness of life to every man and woman”. As we take stock of our achievements over the years, we can look back with pride at the many milestones we have crossed. Only 18 per cent of our population could read and write in 1947. Today, nearly 74 per cent of our population has basic literacy skills. 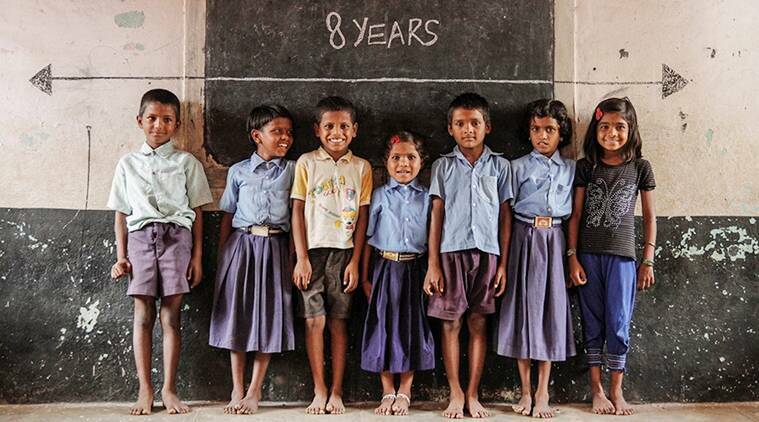 Over 95 per cent of the country’s children are in school and nearly 86 per cent of young people are functionally literate. This is not a small achievement. However, we have to draw inspiration from our past successes and move forward. We cannot ignore the fact that today nearly 35 crore youth and adults are outside the world of literates and are unable to participate effectively in the development of the country. About 40 per cent of our schoolchildren do not acquire literacy skills with satisfactory proficiency even after completing elementary education. We have a formidable challenge that needs to be recognised and systematically addressed. India-China Relations: How long this rivalry? The short answer to how long will India and China be rivals is: Forever. But rivals need not be enemies and neighbors need not get fratricidal. If there are two large and rising powers in a region, rivalry is inevitable. France and Germany or Brazil and Argentina come readily to mind. A hundred and fifty years ago France and Britain were bitter adversaries. The rise of Teutonic nationalism and of Nazism united the two countries against a common enemy. Enmity between nations is usually a consequence of shared of unhappily shared history. The enmity between China and Japan for instance is a consequence of the occupation of a good part of China by Imperial Japan. The enmity between India and Pakistan is due to different perceptions of the same history and was freeze dried for these past few generations by Partition. Parts of India might share the same blood as Pakistan, but that doesn’t matter. Religion is stronger than blood. Worse still is the intense enmity between the two Koreas, where ideology is the driving force. But India and China have had no shared history or competitive ideologies – not now anyway. This is more of a rivalry. The “end of history” with the triumph of liberal democracy has largely blunted Franco-German rivalry by entwining them economically, while the advent of the European Union has made the borders seamless. The ratification of the Treaty of Tlatelolco of 1967 by Argentina in 1994, making all of Latin America and the Caribbean a nuclear free zone, has more or less eliminated any vestigial military fears Argentina and Brazil may have had. On the other hand go to a Brazil-Argentina soccer match or to a France-England rugby game and you will wonder if things have changed at all? Rivalries, it seems, are forever! On August 7, 2017, Saudi Arabia’s most senior diplomat in Afghanistan, Mishari al-Harbi, described the Taliban as “armed terrorists” in an interview with Afghan reporters. Even though the Taliban’s alliance with Iran has created tensions between Riyadh and the Taliban in recent years, al-Harbi’s hostile rhetoric towards the Taliban surprised many observers, as Saudi Arabia recognized the Taliban as Afghanistan’s legitimate government during the 1990s and expressed interest in hosting a Taliban diplomatic base in 2011. Saudi Arabia’s increasingly hostile rhetoric towards the Taliban can be explained by two main factors. First, the Saudi government’s rhetoric aims to deter private donors in Saudi Arabia from providing financial assistance to the Taliban. Second, Saudi Arabia’s de-legitimization of the Taliban as a political entity seeks to undercut the effectiveness of Qatar’s mediation efforts between the Taliban and Kabul. Even though Saudi Arabia renounced its diplomatic support for the Taliban in the days leading up to the 2001 war in Afghanistan, the Saudi monarchy continued to allow private donors residing in the kingdom to financially assist the Taliban. Saudi Arabia’s support for the Taliban has consisted of financial donations from prominent Wahhabi businessmen and political elites, and Riyadh’s facilitation of the Taliban’s efforts to extract tax revenues from Pashtun guest workers residing in the kingdom. China's communist leadership is in the final stages of a massive transition of power. In addition to the huge reshuffles among political cadres underway across all but the highest levels of the government, changes in the top military ranks have quietly been taking shape. At least five of the 11 members of the Central Military Commission — which oversees military affairs — will step down, including one of the committee's two vice chairmen. As China is undergoing substantial military reform aimed at modernization, President Xi Jinping is engaged in the broadest effort to consolidate power over the military since the days of Deng Xiaoping and Mao Zedong. Sweeping anti-corruption crackdowns against senior military officials are underway. On Sept. 4, Reuters reported that Gen. Fang Fenghui, chief of the Joint Staff Department in the People's Liberation Army and a strong contender for vice chairman, had been questioned on suspicion of corruption. Chinese state media made no mention of this but did confirm in late August that Fang had been replaced. If true, the investigation will certainly deprive Fang of his chances for a vice chairmanship. Two other members of the committee, Adm. Wu Shengli and Gen. Zhang Yang, are reportedly also under investigation. These investigations have focused notably on personnel who were allegedly appointed by former vice chairmen and not by Xi's allies, leading many to believe the crackdown is intended to target the power networks of his potential political rivals, including two former vice chairmen of the Central Military Commission, Guo Boxiong and Xu Caihou. Simple firearms, knives, and automobiles can result in a horrific number of casualties. On Thursday, August 17, Spain became the latest country in the West to live through a crude but deadly terrorist attack perpetrated by a group of jihadist-inspired individuals. The modus operandi of using a large van to strike Las Ramblas, a central tourist spot packed with people in the heart of Barcelona, is nearly identical to acts of terrorism that have occurred in France, Germany, the United States, the UK, and Sweden over the past year-and-a-half. In each case, a radicalized or psychologically distressed individual hijacks or rents a vehicle, waits for an opportune moment for a vulnerable soft target, and turns that vehicle into a deadly weapon by deliberately running people over on the sidewalk. For a terrorist, killing people with a car in an isolated attack is a lot less dramatic than a series of coordinated and synchronized suicide bombings on mass transit systems planned over a period of months. But ramming attacks have the benefit of being very easy to carry out; indeed, running pedestrians over with a car does not require any particular knowledge, skill or intelligence. Terrorism in our current age is no longer defined by the terrorist cell meeting halfway around the world in a safe-haven, plotting a spectacular attack months and years in advance. Instead, the Islamic State has made terrorism easy for anybody to conduct. As ISIS’s former chief operational planner and spokesman, Abu Muhammad al-Adnani, implored to ISIS’s pack of recruits in Western Europe in 2014 and again in 2016, you don’t need to travel to Syria and gain battlefield skills to become a valuable member of the Islamic State’s community. All you need to do is pick up a knife and slash a police officer or hijack a car and run over pedestrians on the sidewalk. No expertise on Islam is required, just a willingness to kill innocent people in the name of the caliphate. The nuclear strategy of weaker powers. North Korea’s nuclear weapons program is advancing quickly. This year, it has tested a suite of short- and medium-range ballistic missiles that can hit neighbors and American bases in East Asia, submarine-launched ballistic missiles, two intercontinental-range ballistic missiles and a purported thermonuclear weapon capable of flattening a city. Soon Kim Jong Un will be able to deliver it to our shores, if he cannot do so already. This, we are told, is an unfortunate but not an existential problem. Although it will reshape geopolitics, there is no real threat of nuclear warfare, because Kim has no death wish. Secretary of State Rex Tillerson says Americans should sleep well at night, and analysts argue that it would be tantamount to national suicide for Kim to use nuclear weapons against the United States. Kim is ruthlessly rational. If his purpose is to ensure his survival (how better to understand his quest for nukes? ), why would he risk it by starting a conflict with Washington he can’t win? Surely it won’t come to war, let alone nuclear war. Yes, Kim is brutally rational. And that is precisely why he may have to use nuclear weapons, but not in a first strike against American cities. Kim’s nuclear arsenal exists to stop his enemies’ quest for regime change. If North Korea and the United States wind up shooting at each other, it might make sense for Kim to use nuclear weapons first in a way that increases his chances of survival. The basic idea is to use one set of nuclear devices first to stave off the conventional invasion, and hold in reserve longer range, more powerful devices that threaten the enemy’s cities to deter nuclear annihilation. It’s a doctrine called “asymmetric escalation,” employed by states that are conventionally weak. France used it during the Cold War to deter the more powerful Soviet Union, and Pakistan does the same today against a more powerful India. Beijing, meanwhile, has kept up its calls for talks, though it also has advocated stronger sanctions on Pyongyang. The most important thing, China insists, is that the United States and North Korea sit down to talk - whether in a multilateral, trilateral, bilateral or whatever possible format. From Beijing's perspective, dialogue is the only way to ease the heightened tensions in Korea, while excessive sanctions or coercive tactics are largely ineffective, if not counterproductive. It's becoming increasingly obvious, however, that Washington and Beijing differ in their thinking about talks with North Korea. Having just returned from two weeks spent engaged in unofficial dialogues and exchanges in the region, I can attest that the gulf separating China from the United States is as wide as the media makes it out to be. But the reasons behind the divergence are different from the ones so often described in the news. I have fought in high intensity, major conventional combat. War on the Korean Penninsula would kill tens of thousands within days, potentially hundreds of thousands. Early Sunday morning, North Korean dictator Kim Jong-un ordered the test of the largest yield nuclear test in the country’s history. In response, President Donald Trump tweeted out a disparaging comment on the president of South Korea and warned that Kim “only understands one thing,” clearly implying military power. The situation on the Korean peninsula is now at the brink of major—and potentially nuclear—war. Only wise, sober and carefully calculated actions from the White House can avoid this destructive outcome; continuing with the military-first method of problem-solving will likely fail, spawning a war. The president must put aside personal hubris and pride, and instead engage in serious statecraft. The United States dwarfs North Korea in every category: air power, sea power, ground forces, a powerful global economy and a modern nuclear arsenal that could obliterate the tiny ”Hermit Kingdom” a thousand times over. We should not be in reactionary mode, allowing Kim to keep the initiative and set the basis of the crisis. Despite what many hawkish, so-called ”foreign-policy experts” say in Washington, time is on our side. We should act like the world-class global power we are, take control of the matter from Kim Jong-un, and reduce the tensions and threats to a tolerable steady-state. Those advocating for a preventive military response to North Korea’s latest nuclear test represent a danger to U.S. security. With hurricane relief and the debt ceiling grabbing the headlines, it will be easy to overlook today’s Congressional hearing on recent ship collisions in the Pacific Ocean. But policymakers should not. Troops are now more likely to die in “peacetime” incidents than active hostilities or combat. We should all be worried about that trend. Recent U.S. Navy ship collisions in the Pacific and several aircraft crashes have highlighted the tangible and tragic consequences of how “degraded military readiness” manifests. The loss of life stemming from the accidents involving the USS Fitzgerald and USS John S. McCain has led to an operational pause in the United States Navy—and for good reason. Something is wrong, and if recent history is any indication, it is likely not just one single issue that can quickly be isolated and fixed. 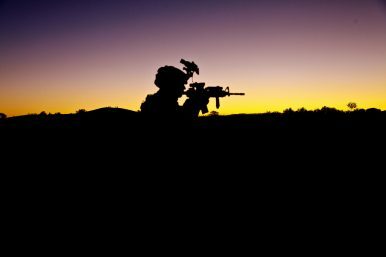 While Afghanistan is now the longest continuous conflict in American military history, it actually ceased to be the deadliest threat that the military faces several years ago. That dubious honor has belonged to the specter of on-duty accidents, which have been the biggest killer of American servicemembers since 2014. The Pentagon’s recently completed Electronic Warfare strategy calls for increased investment in advanced electronic warfare technology designed for defense, as well as a proactive use of emerging electromagnetic spectrum systems to attack enemies. While the new strategy is described by DOD as being “For Official Use Only” -- to be shared with relevant U.S. military developers and defense industry sources – officials familiar with its contents did describe some of it broad parameters and goals. "The vision of the Electronic Warfare strategy is to be agile, adaptive and integrate electronic warfare to offensively achieve electromagnetic spectrum superiority across the range of military operations,” Pentagon spokeswoman Heather Babb told Defense Systems. Babb further articulated that the strategic goals include organizing the electronic warfare enterprise to ensure electromagnetic spectrum superiority, training and equipping EW forces and strengthening partnerships with allies, industry and academia. This DOD electronic warfare strategy took on new urgency following Russia’s successful use of advanced EW technologies in Ukraine and the pace of global technological progress in the area of EW systems, according to industry and government sources. In the Pentagon’s vast arsenal there is little quite like it: a super-secret space drone that looks like a miniature version of the space shuttle, but orbits the Earth for months, even years, at a time. Doing what? The Air Force won’t say. Facebook is facing intense political fallout and thorny legal questions a day after confirming that Russian funds paid for advertising on the social media platform aimed at influencing voters during last year’s presidential election. Mark Warner, the vice chairman of the Senate Intelligence Committee, said Thursday he hopes to call executives from Facebook, Twitter and other social media companies to testify publicly about what role their companies may have played, however unwittingly, in the wider Kremlin effort to manipulate the 2016 White House race. 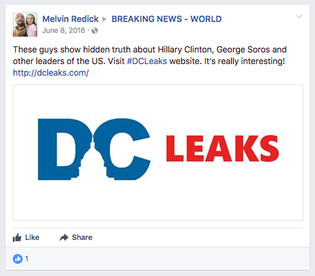 “I think we may just be seeing the tip of the iceberg,” the Virginia Democrat told reporters in response to Facebook’s Wednesday disclosure that apparent Russian-tied accounts spent some $150,000 on more than 5,200 political ads last year. Warner said Facebook’s disclosure was based only on a “fairly narrow search” for suspicious ad-buying accounts. Facebook was also the target of a 20-minute monologue by the MSNBC host Rachel Maddow on Wednesday night, in which she pointedly noted the company’s past denials to media outlets including Time, McClatchy and CNN that it had found any Russian-bought ads. “It raises very interesting questions about Facebook accepting that money to influence the U.S. election without noticing that it was from a foreign source,” she said, adding the Russian purchasers and Americans who knew about the ad buys were now exposed to criminal proceedings. 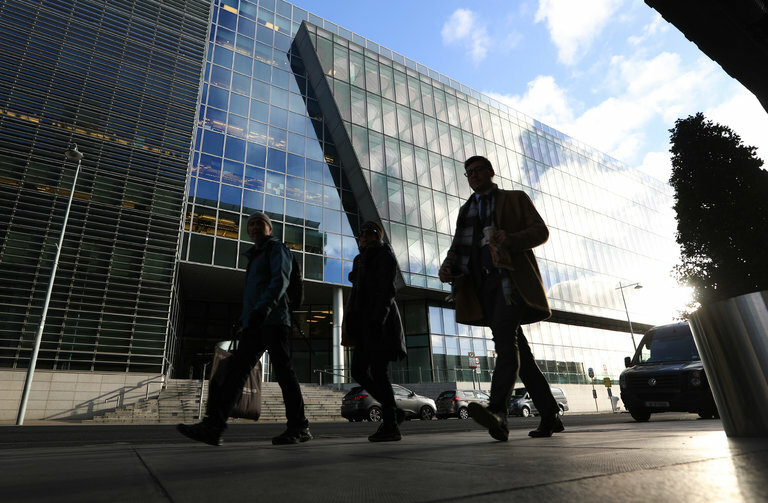 WASHINGTON (Reuters) - Advanced hackers have targeted United States and European energy companies in a cyber espionage campaign that has in some cases successfully broken into the core systems that control the companies’ operations, according to researchers at the security firm Symantec.